INDU SABU, KRISHNA RAO SATHYA. BACKGROUND: Appropriate development of children is one of the prime necessity for health future of a country. Uramarunnu (medicines administered after rubbing) is one of the traditional practices in Southern part of India which is a modification of Lehana (drugs administered in lickable form) and Prasana (small quantity of food or medicine which is contained in between the thumb and the index finger when taken). AIM: To explore the scientific aspect regarding the use of Uramarunnu. MATERIALS AND METHOD : Data from various Ayurveda classics, Ayurveda Pharmacopeia of India and online database was reviewed for the work. OBSERVATIONS: The drugs of Uramarunnu were found to be possessing digestive stimulant, immunmodulator and nervine tonic properties. Thus practise of Uramarunnu covers a three dimensional aspects in health care of a child i.e. Gastrointestinal protection; Stimulation of the central nervous system and immunomodulation. CONCLUSION: The review suggests that the Uramarunnu is having positive relation with Gut-Brain axis and can be used for safe and effective baby care under proper guidance of a physician. SABU I, SATHYA KR. URAMARUNNU - A TRADITIONAL AYURVEDIC PAEDIATRIC PRACTICE. J. res. tradit. med. 2017; 3(3): 91-97. SABU I, SATHYA KR. URAMARUNNU - A TRADITIONAL AYURVEDIC PAEDIATRIC PRACTICE. http://www.tmjournal.org/?mno=277687 [Access: April 20, 2019]. SABU I, SATHYA KR. URAMARUNNU - A TRADITIONAL AYURVEDIC PAEDIATRIC PRACTICE. J. res. tradit. med. (2017), [cited April 20, 2019]; 3(3): 91-97. SABU, I. & SATHYA, . K. R. (2017) URAMARUNNU - A TRADITIONAL AYURVEDIC PAEDIATRIC PRACTICE. J. res. tradit. med, 3 (3), 91-97. SABU, INDU, and KRISHNA RAO SATHYA. 2017. URAMARUNNU - A TRADITIONAL AYURVEDIC PAEDIATRIC PRACTICE. JOURNAL OF RESEARCH IN TRADITIONAL MEDICINE, 3 (3), 91-97. SABU, INDU, and KRISHNA RAO SATHYA. "URAMARUNNU - A TRADITIONAL AYURVEDIC PAEDIATRIC PRACTICE." 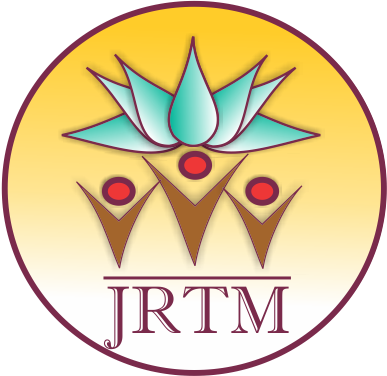 JOURNAL OF RESEARCH IN TRADITIONAL MEDICINE 3 (2017), 91-97. SABU, INDU, and KRISHNA RAO SATHYA. "URAMARUNNU - A TRADITIONAL AYURVEDIC PAEDIATRIC PRACTICE." JOURNAL OF RESEARCH IN TRADITIONAL MEDICINE 3.3 (2017), 91-97. Print. SABU, I. & SATHYA, . K. R. (2017) URAMARUNNU - A TRADITIONAL AYURVEDIC PAEDIATRIC PRACTICE. JOURNAL OF RESEARCH IN TRADITIONAL MEDICINE, 3 (3), 91-97. J. res. tradit. med. Year: 2017, Volume: 3, Issue: 3: 91-97.